Nutanix announced on Tuesday its new Xpress cloud platform, priced and architected for small and midsize businesses. 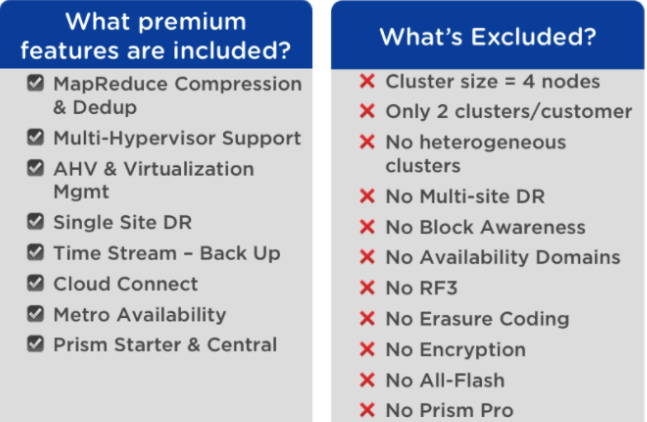 Nutanix Xpress is a pre-assembled private cloud stack, available only through the VAR channel, that bundles storage, compute and a hypervisor along with management software. Prebuilt Cloud Connect integrations allow for data backup to public cloud services, including AWS and Microsoft Azure. For small and medium-sized businesses, purchasing, installing, and managing IT infrastructure poses significant challenges. Existing solutions may be too complicated and require specialized skills that overstretch IT budgets. The Nutanix Xpress family addresses the IT needs of smaller organizations through ease of management, lower TCO, and simple, risk-free deployment, with world-class support for the entire infrastructure stack just a phone call or email away. applications in 60 minutes or less. • Reduce purchasing costs. Total cost of ownership is up to 60% less than comparable traditional infrastructure. What’s the difference between Xpress and Xtreme? There are a variety of SX-1065 configurations available. Here are 3 basic models from Small to Large.